Wandering the neighborhood with this little explorer. We'll be taking selfies as long as he lets me. Utah’s first national park is probably its most spectacular — and that’s no easy feat for a state that boasts a whopping five, including the Bryce hoodoos and the famous arches of, of course, Arches. 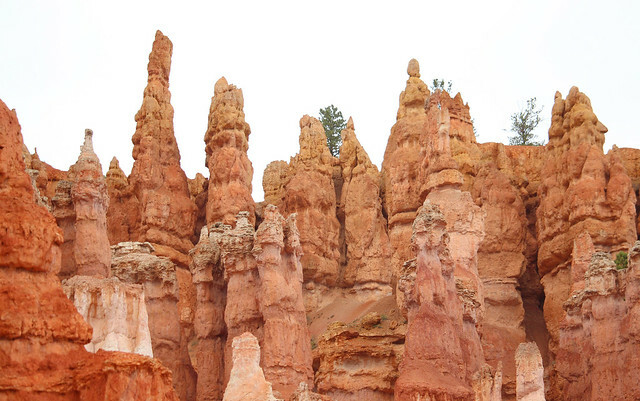 On my 31st birthday, I became acquainted with something magical: hoodoos. Not the folk magic, or the gurus (in the form of an Australian new wave band), but one of the funkiest geological features that some say look like Queen Victoria or Thor’s Hammer if you look close enough. That’s Victoria on the far right. I think. After spending time in Utah’s biggest city, we basically drove to the middle of nowhere. Or, drove through the middle of nowhere to get to Moab, the state’s hub for outdoorsy adventurers. And the adventures do abound in this city that sits on the Colorado River, only a few miles from vast canyon lands and wondrous arches, sandstone towers and other mystical formations. Mountain biking. Rock climbing. Cliff jumping. Rafting and kayaking. 4x4ing in your Jeep. Pick your sport. 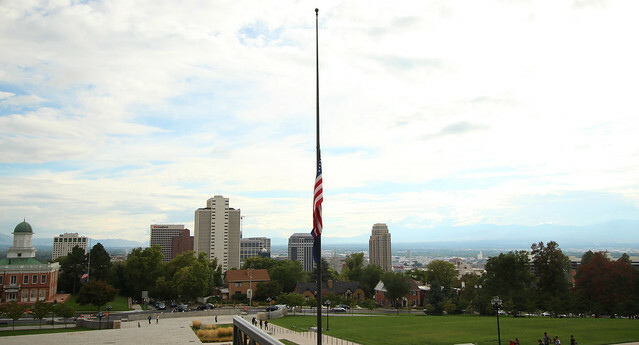 When Brigham Young and his Church of Jesus Christ of Latter-day Saints crew happened upon the valley where Salt Lake City sits in 1847, the isolation of the area appealed to them and they settled immediately. Surrounded by the city’s namesake, the Great Salt Lake, and two mountain ranges (the Wasatch and Oquirrh), it’s afforded quite the protection, which comforted the persecuted Mormons. You can usually smell it before you see it. When it finally appears, the mountains rising up from its many shores catch your eye more than the still, bluish-green waters of the largest lake between the Pacific and the Great Lakes. The water reflects the sky so well that as your eye attempts to find the end of the horizon, its near impossible to tell where one ends and the other begins. 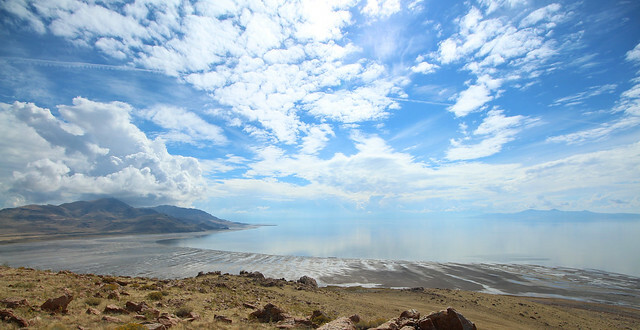 The Great Salt Lake is one of the biggest attractions in Northern Utah for good reason — it’s a unique, beautiful place and definitely worth a stop if you’re in the area. 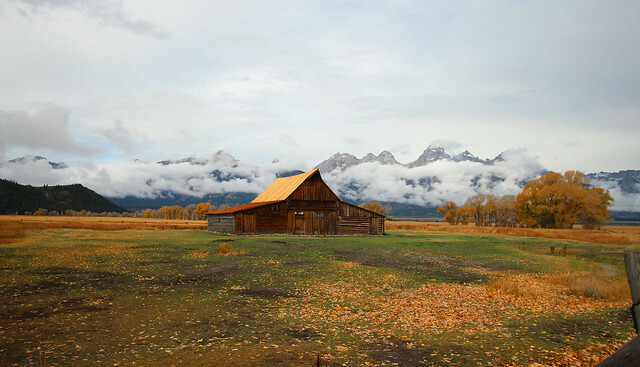 Just south of diverse Yellowstone National Park lies a park built around one thing: the craggy peaks of the Teton Range. 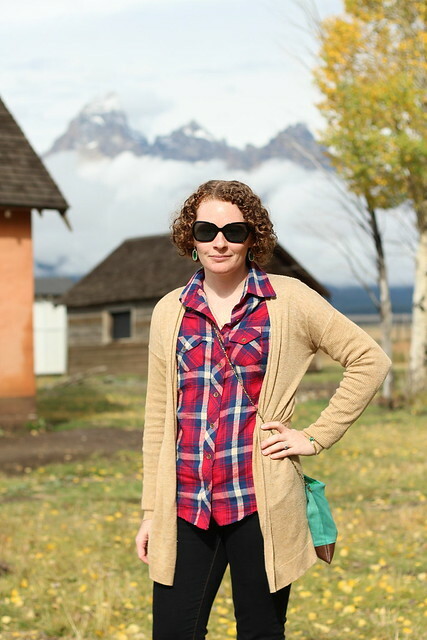 If ever a mountain range deserved a whole national park, the Tetons are the most worthy! 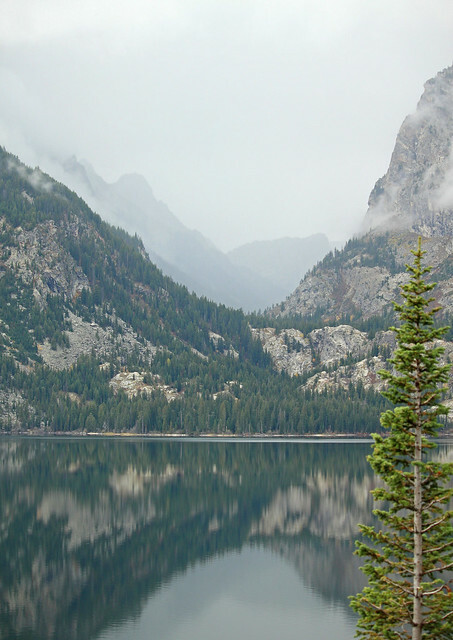 Established in 1929, Grand Teton National Park includes the high peaks of the Tetons, several glacial lakes, a chunk of the meandering snake river, a historic Mormon settlement district and plenty of outdoorsy opportunities — from camping to hiking to boating to fishing and more. We started off our time in the park with breakfast at the Mural Room in the Jackson Lake Lodge. 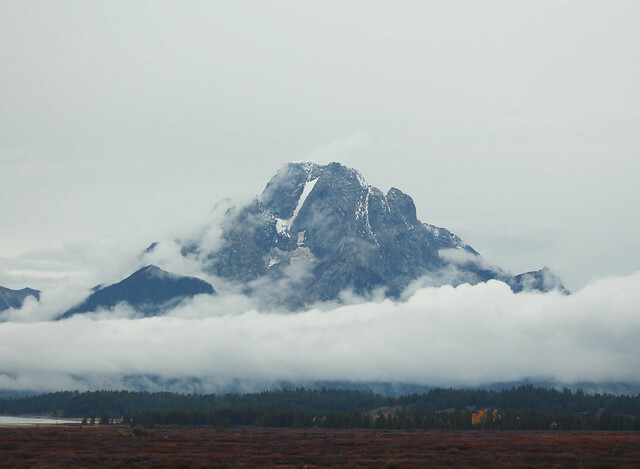 It was raining when we arrived, but as we sipped our coffee, the clouds rolled away, exposing one peak at a time: South Teton, Middle Teton, Grand Teton, all the way to Mount Moran. 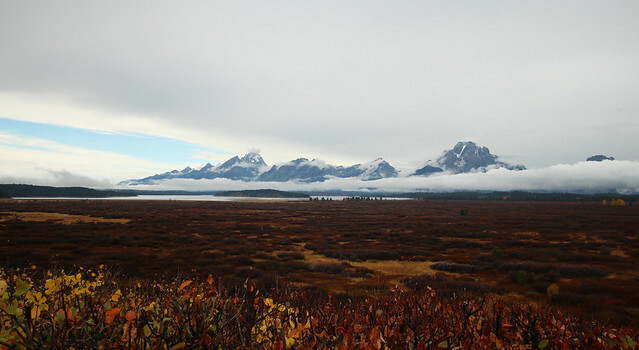 The Willow Flats were in full fall mode — gorgeous reds and yellows lead to Jackson Lake, which sits at the base of the Tetons. 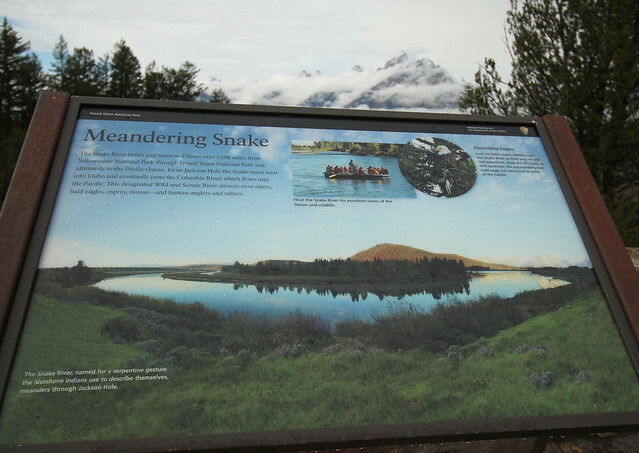 After breakfast, we headed down to the Snake River Overlook, where Ansel Adams captured the epic beauty of the river and peaks in haunting black and white photographs back in the 1940s. 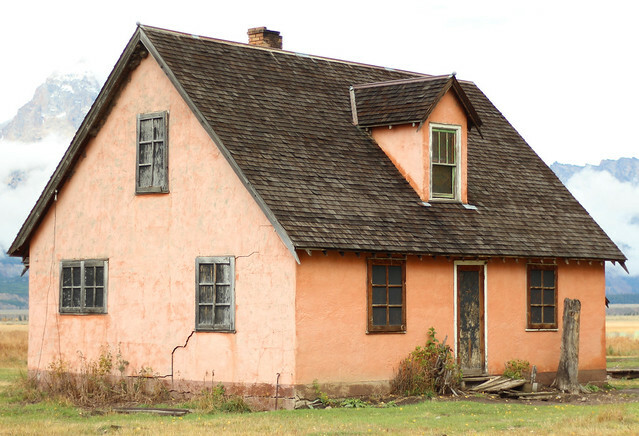 Next we headed to Mormon Row Historic District, featuring several homesteads from the late 1800s and early 1900s. 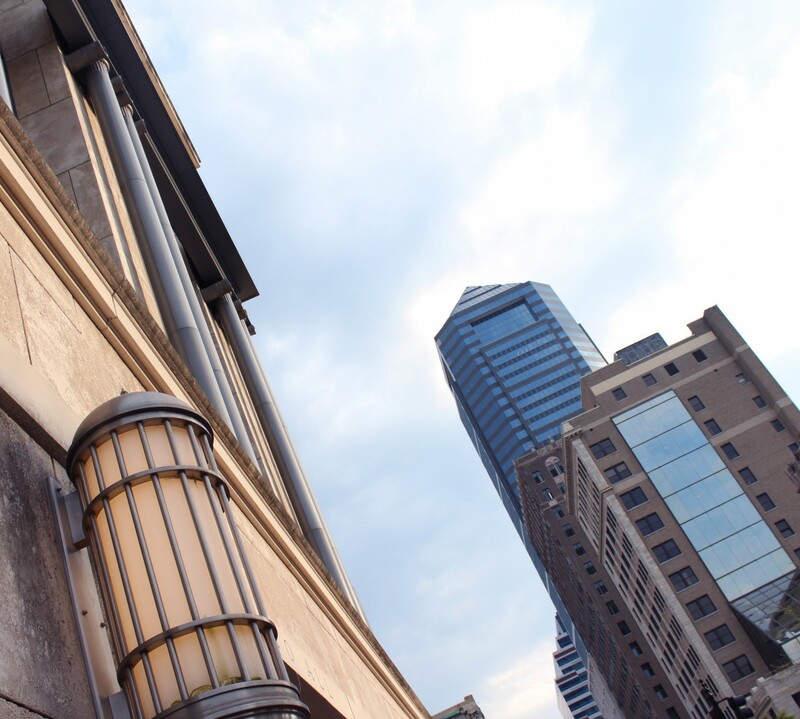 The most famous of the buildings is T.A. 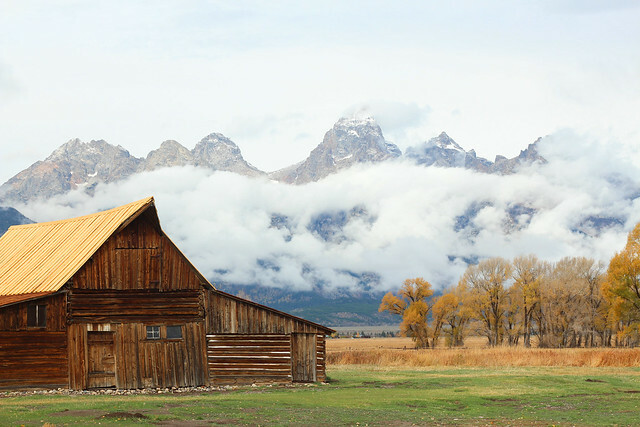 Moulton’s barn, which is framed perfectly by the rising peaks of the Tetons. While it wasn’t easy to tell it was fall in Yellowstone, the season’s colors were definitely showing in Grand Teton. Even though it was only October 2, the aspens were a brilliant yellow and not far from completely losing their leaves. 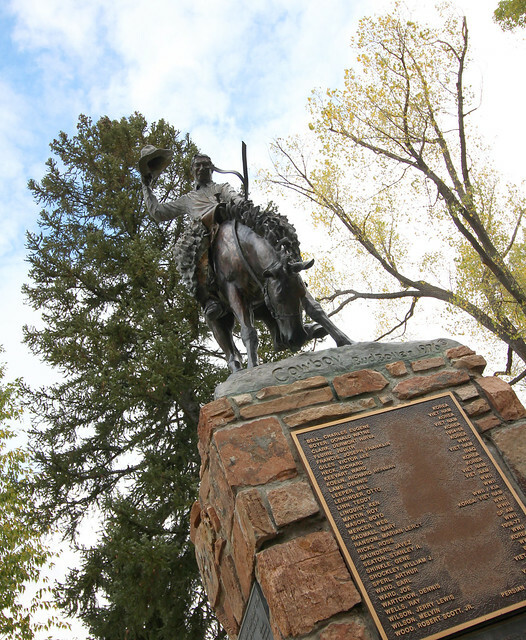 Nowhere was the season more evident than on Mormon Row. 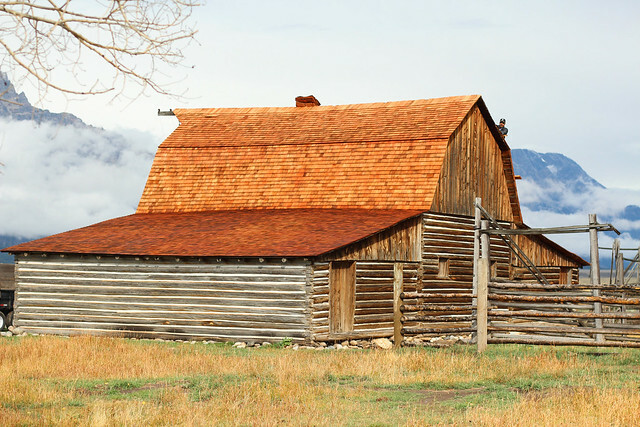 John Moulton’s barn — the less popular of the Moulton barns. After wandering around the old buildings, we got a little closer to the mountains. 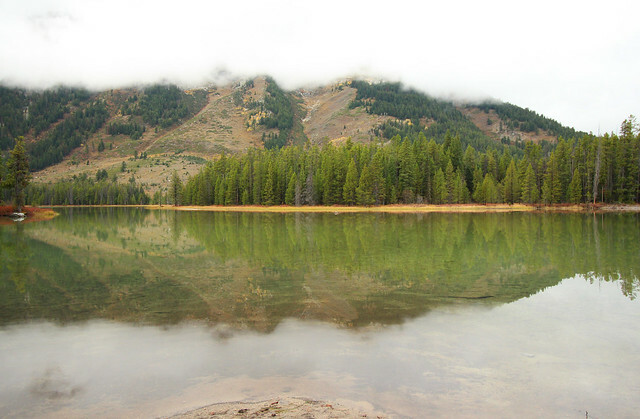 We went on a short hike around String Lake and then stopped at Jenny Lake before heading into Jackson Hole. Unfortunately the clouds were too low to see the peaks. But the lakes were clear and lovely and brilliantly reflective. 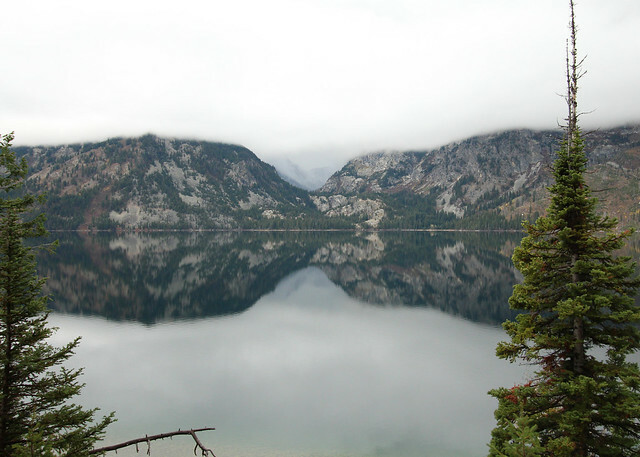 Jenny Lake is one of the larger glacial lakes at the foot of the Tetons. It’s also one of the deepest! It was created by glaciers that pushed rock debris down through the canyon. The clouds eventually moved enough to give us a peek into Cascade Canyon. 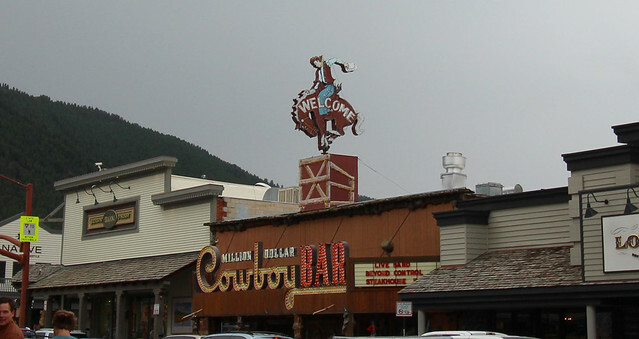 We ended our day in the area in Jackson, a very wild west town, or a town that at least tries to evoke the wild west. The “hole” feeling of the area is very evident — I can see how the valley received the name. 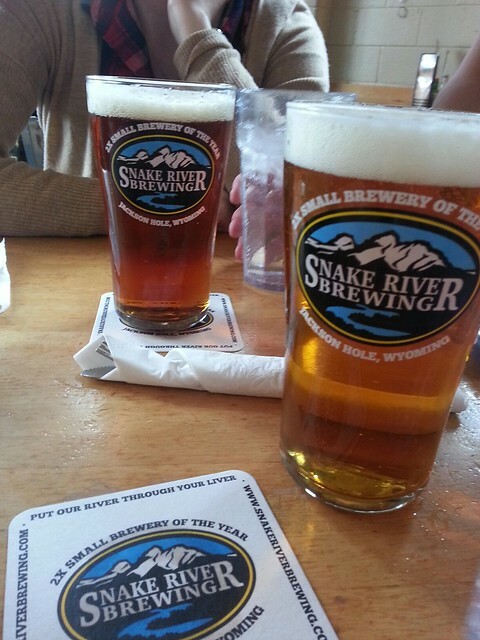 Our last stop received its namesake from the winding river that runs south, past the Tetons into Jackson: Snake River Brewing Company, a worthy place for a drink if you like beer. 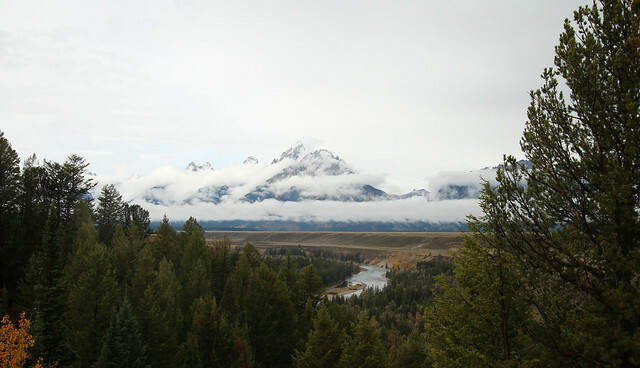 The Tetons are quite possibly the most beautiful mountains I’ve ever seen. After seeing them from a distance for several days prior (from Highway 29 heading to the West Entrance of Yellowstone and from atop Mount Washburn), it was nice to see them up close! 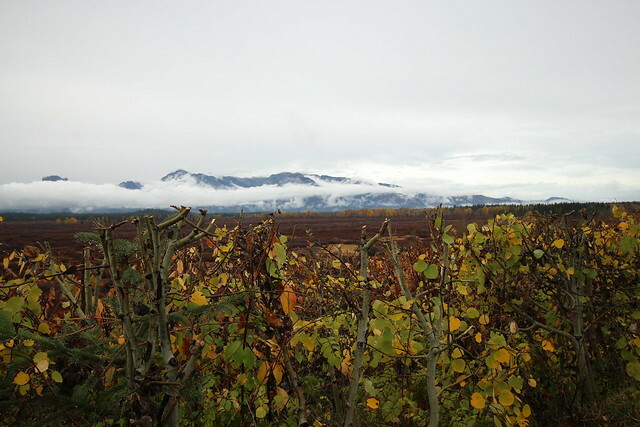 Even though the day was relatively cloudy, we thoroughly enjoyed the landscape. 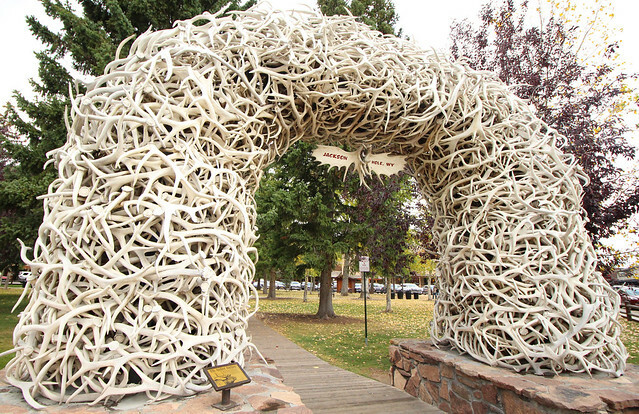 The jury is still out on Jackson Hole though. The best views always require a bit of work. I’m not sure if they’re better because you worked for them, or if it’s just the nature of landscapes — you can see more from the top, but you have to get there somehow.